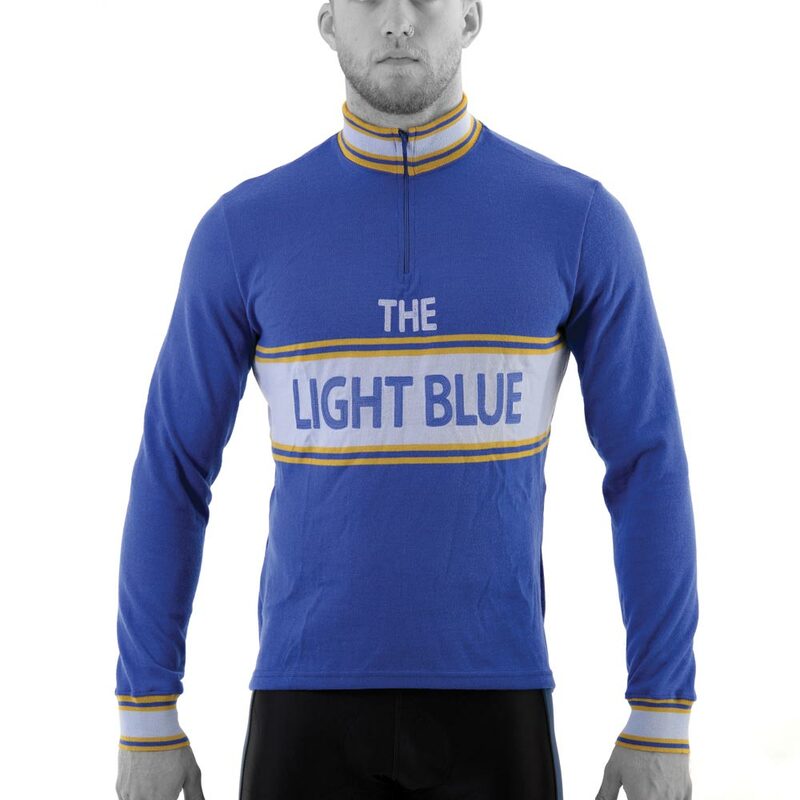 Vintage inspired The Light Blue merino wool jersey. 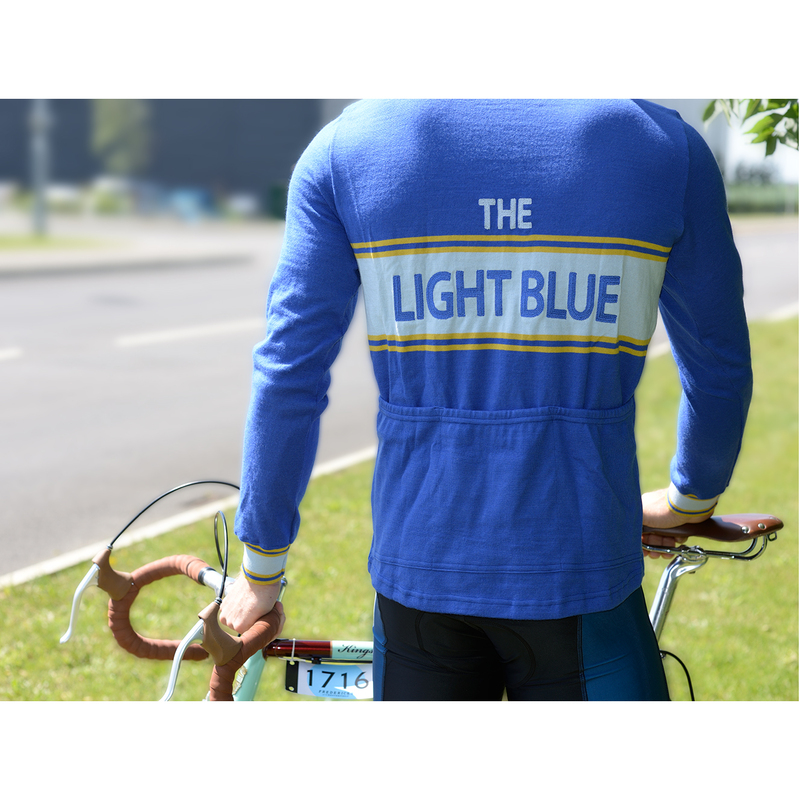 Handcrafted in Italy and finished with traditional embroidered lettering. Classic cut with three rear pockets and a short zip. 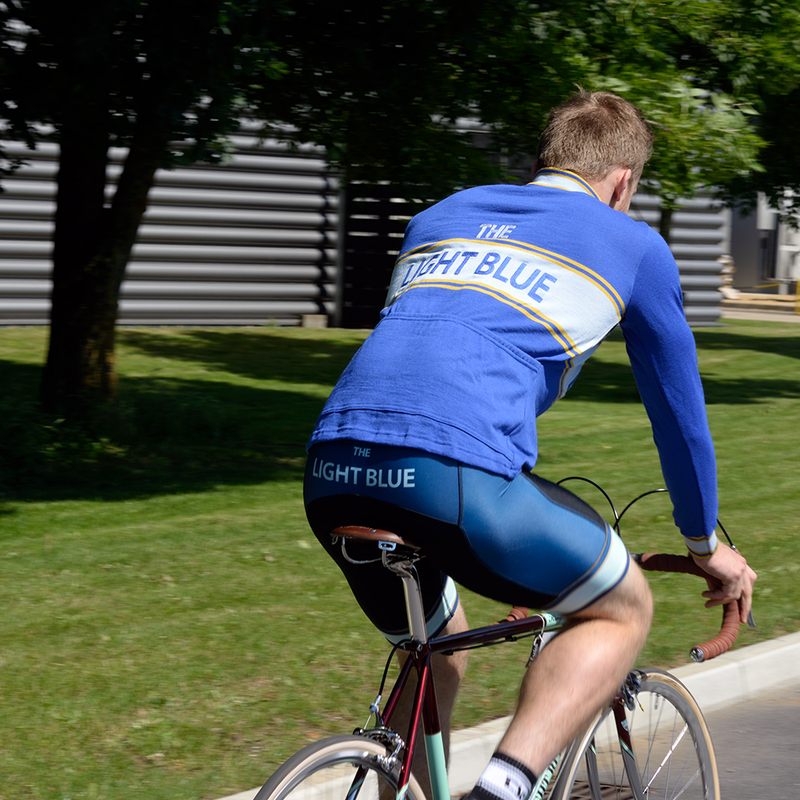 Ideal for retro rides and spring/autumn spins.